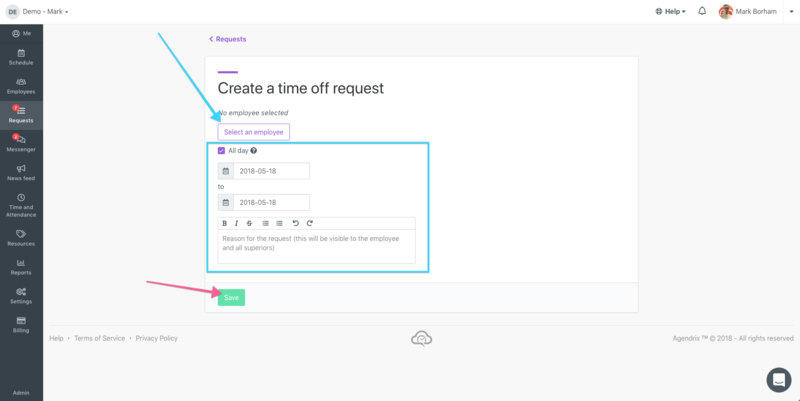 You can create a time off the he same way you would create a shift but by selecting Time off in the popup. 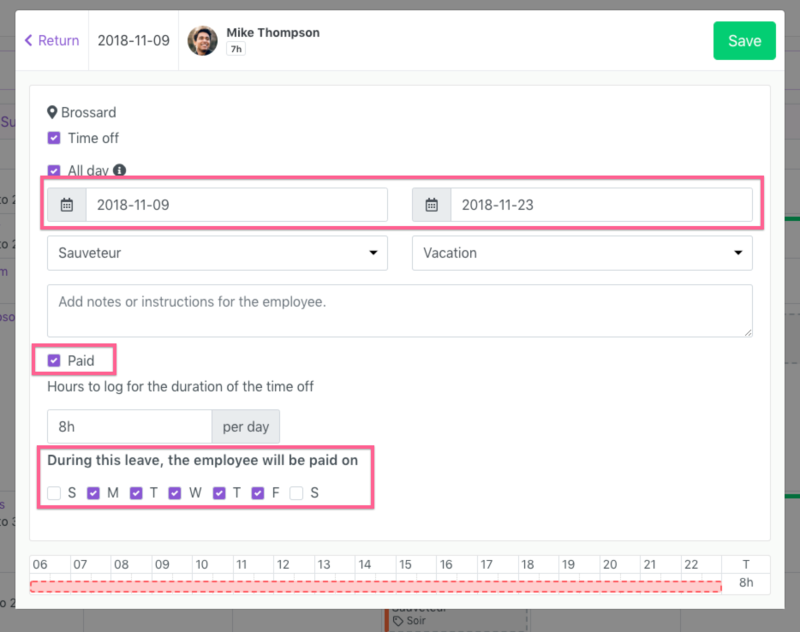 For our Pro plan users, time offs will be directly transferred to the time sheets. It is important to chose the type as the time off will be paid or not. If you create a paid time off over multiple days, it is possible to choose the paid days (ex: 2 week time off with only the weekdays paid).